Crowned by a circle of majestic peaks, Tahiti, the largest island in French Polynesia, towers over the ocean like a proud and royal Queen. The mountainous interior is adorned with mystical valleys, clear streams, and high waterfalls. 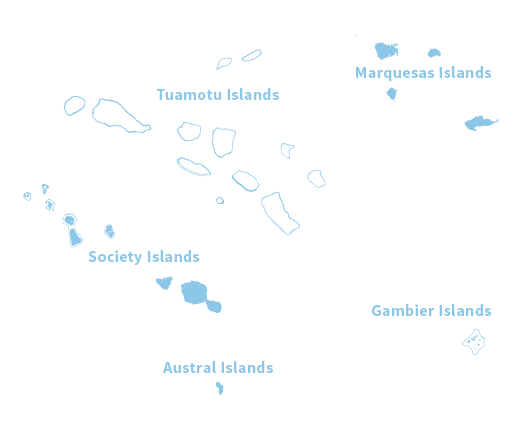 Most of the island’s population resides near the shore, leaving the interior of the island feeling almost untouched and ancient, despite such proximity to the bustling capital of Papeete. Papeete, meaning “water basket,” was once a gathering place where Tahitians came to fill their calabashes with fresh water. 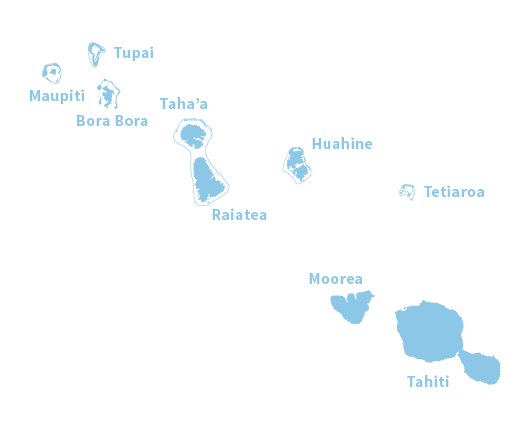 Now, Papeete, the touchstone of this island nation, boasts world-class resorts, spas, fine dining and unique restaurants, nightclubs, vibrant markets, museums, pearl shops, and boutiques. The world’s definition of paradise. The largest and most lively of The Islands of Tahiti, known simply as Tahiti, lives at the pace of culture, music and dance. Attend an enchanting Tahitian dance show called ‘ori Tahiti, or visit a contemporary art exhibition, an unusual play, a traditional or modern concert. 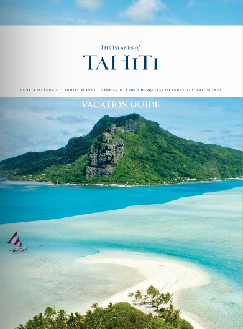 Tahiti – and especially Papeete – provide the opportunity to discover artistic expression of all kinds. 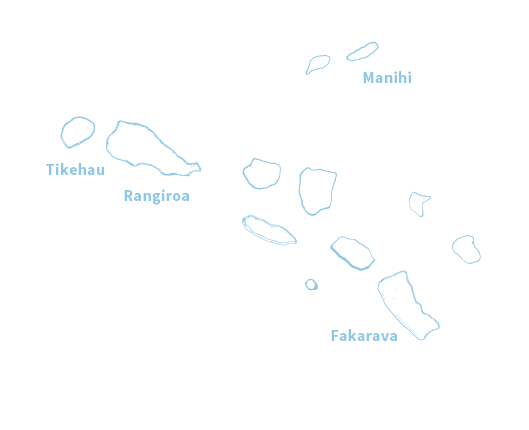 Tahiti is also famous for its hospitality and sweet, relaxed atmosphere where everyone is welcome. 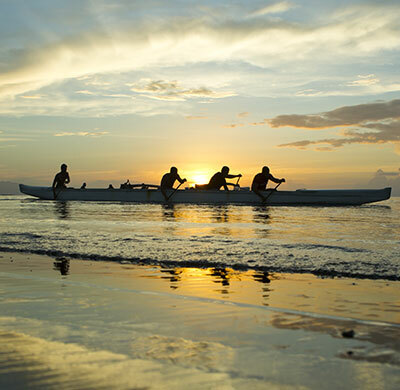 The first thing visitors will notice is that the spontaneous and sincere friendliness of Tahitians is hard to match. Here, people smile all the time and often take the time to share a piece of advice, information or a story. Visitors will instantly feel comfortable living at the pace of island life. 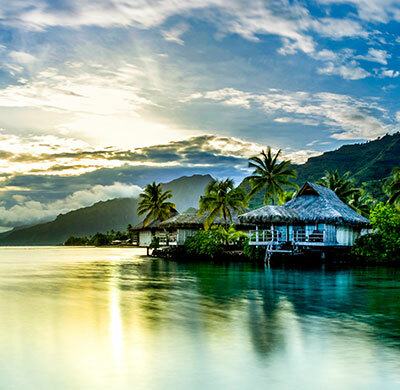 As you travel throughout the islands, Tahiti slowly unveils its beauty. It can be explored in many different ways: black sand beaches on the East coast, white sand beaches on the West coast, diving, beginner’s and legendary surf spots, mountainous peaks within desert lush valleys or the historic site of Papeete’s colorful market and, oh, so much more.